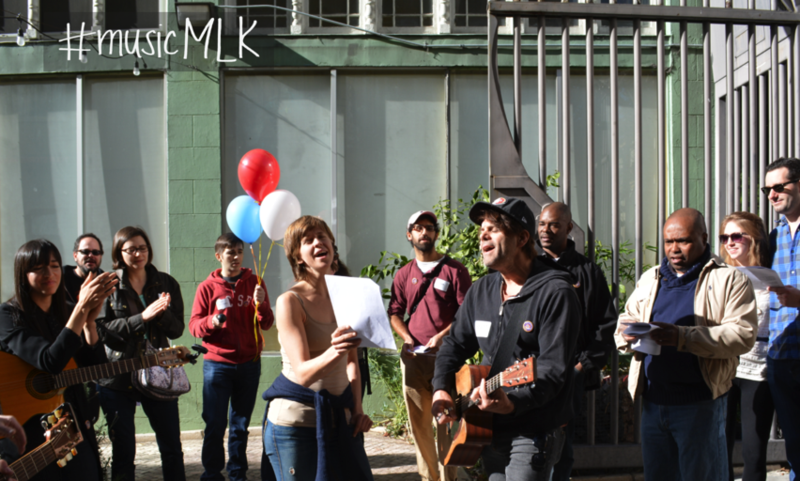 Get involved with #musicMLK celebrations in your community! #MLKDay @mlkday « Adafruit Industries – Makers, hackers, artists, designers and engineers! #musicMLK happens each January on the Martin Luther King, Jr. holiday weekend. Music has a unique power to unite people from all walks of life. Each year, #musicMLK encourages musicians and music lovers to co-create participatory events in their communities, with a special emphasis on engagement with isolated populations like hospitalized children, veterans, the elderly, the homeless, and others who are in need. We ask you to help us scale to 150 cities on January 16-18 in 2016.